Looking for a new Trollope to be getting on with, and this just may be the one, thank you for the taster. Happy to have been of assistance! Well, my first Trollope (apart from some of his travel writings) was last month when I read The Warden. It took a couple of chapters to get into but all of a sudden I couldn’t put it down and I ended up adoring it. This month I’m reading the 2nd. of the Barchester chronicles, Barchester Towers. I’m only about 100 pages in and it’s shaping up to be absolutely wonderful. So I think Trollope is destined to be a huge favourite with me too and luckily there are plenty of books to enjoy… including this one that you’ve read which sounds like a real gem. Isn’t it so exciting to just be starting out, just discovering him yet knowing we have so many books ahead of us to read? I love this feeling and it’s one of my favourite things about reading! A great review! though I don’t think that Mary’s story is thrown in just for the soft-hearted readers like you (and me) – you will meet young women like her again and again in Trollope’s novels. The second Mrs Masters’ constant complaints about “Ushanting” are so funny, at least once you know where the “Ushanting” is leading. 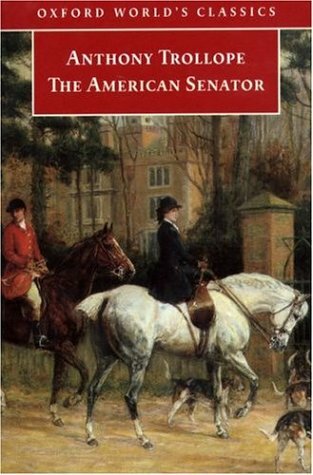 I wouldn’t have recommended The American Senator as an introduction to Trollope, but it sounds like it was the right book for you – and as you say, you have so many to look forward to! Just because Mary-esque characters are a standard feature, doesn’t make me retract my statement about Trollope inserting them to attract and please female readers – only stand by it more, in fact! 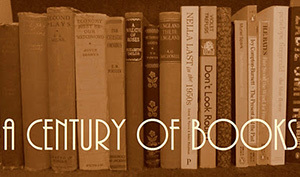 And I can’t wait to read about them all! on August 16, 2011 at 05:31 | Reply Karen K.
I’ve read three by Trollope so far and I think he does tend to start out slowly. I had a bit of a hard time with The Warden but it was worth sticking with, and since Barchester Towers is next in the series, I got into it much more quickly and it rolled along well. I’m hoping to finish the series before I start any more of his stand-alones. (But The Way We Live Now is just great, highly recommend it). I’ll have to add The American Senator to the TBR list! I have heard mixed things about The Warden, even from those who praised the rest of the series, so I’m taking that under advisement as I begin reading! Oh, the ending of The Shuttle. Where to begin with that? I love Betty and, as you know, I loved the book when I read it that year but I still haven’t recovered from my disappointment at that melodramatic ending that was unworthy of Betty. I’m still cherishing dark thoughts about eReaders but about the only thing I’m currently disposed to admire them for is the access they give you to reading old, out of print (or at least out of copyright) books. That is rather appealing. I haven’t read any of his works, but it sounds like I should!